How Much Cannabis is at Risk of Destruction? Well it’s hard to say, but in speaking with some licensees about how much non-conforming product is out there, a common response was “all of it” – Others estimate the percentage of estimated failed lab test results (80% range) represents the percentage of non-confirming product on the market. 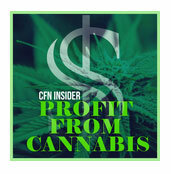 Regardless of how much there really is, for many retail operations the non-conforming cannabis goods will remain on shelves, be filtered into the black market or blown out in steep discount sales because the average retail operator is running on fumes financially, compliant or not and needs every last penny. Before January 1, 2018, numerous retailers stocked up on 2017 cannabis product to avoid certain compliance requirements and taxes imposed on cannabis grown or manufactured after January 1, 2018. Additionally, Retailers have acquired plenty of post January 2018 product that remains on their shelves that also doesn’t comply with the new mandates – like testing and packaging. Why? Because the product and packaging didn’t technically have to comply, that is until July 1, 2018. California gave licensees six months to sell non- conforming product commencing January 1, 2018. Many retailers over estimated how much inventory they would need, leaving them nearing the deadline with potentially enough surplus inventory to help thousands in need of compassionate care. What do we know? It’s a lot of good weed and in all forms, oils, raw flower, pre-rolls, edibles, tinctures …. What else do we know? Few may admit it, some don’t really understand it and many are unprepared for the impact of the deadline. The CA Regulatory Provision that Can Save the Weed for Those in Need. While the emergency regulations and the BCC make no bones about the impending doom of the July 1, 2018 death sentence date for non-conforming cannabis and there are really no bones to make – the regulations are clear on this, CCR 5411 provides an opportunity for a symbiotic and compassionate reprieve for doomed cannabis goods, but there is only a narrow window in which to escape the BCC death sentence for the sacred plant. 16 CCR 5411 – Free Cannabis Goods. This glorious provision could provide the equivalent of a presidential pardon for cannabis goods on death row, that if exercised by licensees in time could become one of the greatest collective acts of compassion our industry has ever seen. While subsection (a) prohibits a retailer from giving away cannabis, the prohibition on giving away free cannabis is limited only to doing so as a promotion or other commercial activity.2 However, the clear intent of the law is to permit retailers to continue to provide cannabis products to persons in need under MAUCRSA, and not to apply a blanket prohibition on donating small amounts of medicine to persons like our vets, elderly and other qualified patients. The balance of the provision actually authorizes the act of giving away or donating cannabis goods for medicinal and compassionate use purposes under certain parameters. CCR 5411 (b) authorizes retailer licensees to give away cannabis goods to medicinal cannabis to patients and their care givers subject to certain conditions (addressed below). 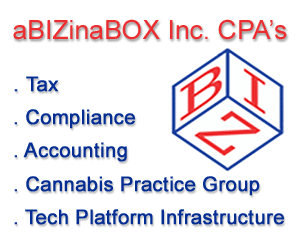 5411 (b)(2) requires the cannabis goods to comply with all applicable lab testing. Keep in mind that cannabis products that have not been lab tested are still lawful to sell (and donate) until July 1, 2018. Additionally, until June 30, 2018 all cannabis goods may be sold or donated if they have not been tested, as there are NO current testing requirements for cannabis goods cultivated or manufactured prior to January 1, 2018. (Note: A Retailer is still prohibited from donating product that has been tested but failed for containing a prohibited pesticide or other dangerous substance) Absent that, the cannabis on death row shelves conforms to current regulatory requirements until June 30, 2018 when the transition period ends. 5411 (b)(4) requires cannabis products be placed in opaque packaging upon exit of the licensed premises, which is required for all exit packaging currently. CCR 5411 (b), a defined Licensed Retailer may provide any medical patient or caregiver free of charge cannabis goods up to allowed daily purchase limits. Nothing appears to prevent the donation of post July 1, 2018 non-confirming cannabis through June 30, 2018 midnight. The only additional qualifier is that the person receiving the gift has difficulty accessing medicinal cannabis and that the retailer meet the above simple requirements in the compassionate act of giving away cannabis goods that are destined for destruction. In addition to subsection CCR 5411(b) allowing donations for medicinal patients and their care givers, subsection (c) additionally authorizes any licensee to make donations for ‘any’ compassionate use, equality or other similar program administered by a local jurisdiction. In addition to the provision of free cannabis goods in subsection (b) of this section, a licensee may donate cannabis goods and the use of equipment in compliance with any compassionate use, equality or other similar program administered by a local jurisdiction. CCR 5411 (c) appears to act as a ‘catch all’ that authorizes any licensee to donate cannabis goods for the very broad purposes of compassionate use, equality or any ‘similar’ program. Additionally, unlike subsection (b) that specifically defined its applicability to particular retail license types, subsection (c) does not have any such qualifier, rendering it applicable to all license types. the legislature gave all licensees the broad authority to donate under any compassionate use, equality or other similar program administered by a local jurisdiction. Therefore, subject to the daily purchase limitations for adult use and requisite licensure, it appears that subsection (c) authorizes donations to those in need over the age of 21 in the absence of a medical card or doctor recommendation. This further opens up the ability for licensees to consider donating cannabis goods that would otherwise be slotted for destruction to a potential myriad of persons including our veterans, the poor, the oppressed, the discriminated and the elderly. It appears that under CCR 5411 (c) a logical and compassionate reading of the intent of this provision would mean that any city or county that currently authorizes retail sales or other commercial cannabis activity may be squarely in a position to allow (or not object) to operators seeking to donate soon to be doomed cannabis product to persons, or subsets of persons in need as described above under its current cannabis programs. Instead of this otherwise safe cannabis through June 30, 2018 going to waste after July 1, 2018, Californians who could benefit from but can’t afford cannabis medicine should be allowed access to otherwise safe cannabis instead of it being destroyed consistent with the purposes set forth in Prop 215, specifically H&SC Sections 11362.5 (b)(1)(A) and (C). There are roughly 16 days left to get the sacred plant in the hands of those that are in need. The California regulatory universe has given the sacred soon to be non-conforming plant a chance to serve its rightful compassionate purpose and help those so desperately in need, provided such acts occur prior to June 30, 2018. After that, all requirements of CCR 5411(b) for donating cannabis will be place, rendering most of the non-confirming cannabis not qualified to donate. This means we don’t have a lot of time for analysis paralysis, political debate, or ignoring the inevitable hoping this problem goes away. July 1, 2018 is coming. Our vets are here now struggling for access to cannabis, our elderly and our poor. An Extraordinary Acts of Compassion doesn’t have to be complicated. Let’s not make it so, and maybe we might not only save the sacred plant but also save some lives in the process. Isn’t that what this is all about and why are really here? 2 Business and Professions Code 26153, “No licensee shall give away any amount of marijuana or marijuana products, or any marijuana accessories, as part of a business promotion or other commercial activity. Boehner gets hard on pot, in a good way! Here’s to the Altered State of the ‘Unalterably Opposed’’ Check Mate Sessions.